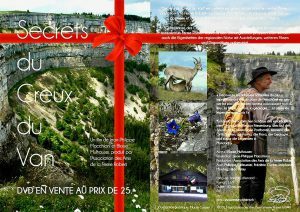 “Secrets du Creux du Van” is shown on the big screen in the interpretation center at Ferme Robert during opening hours. Available at the interpretation center. Share the post "Film “Secrets du Creux du Van”"